I found the perfect location for this house - in the entryway behind the front door. 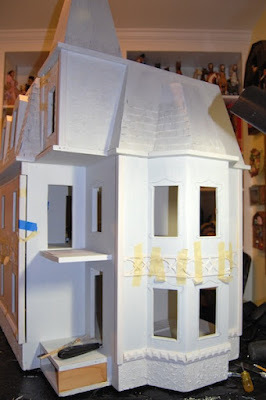 I undercoated the whole dollhouse and plan on using the Victorian windows. 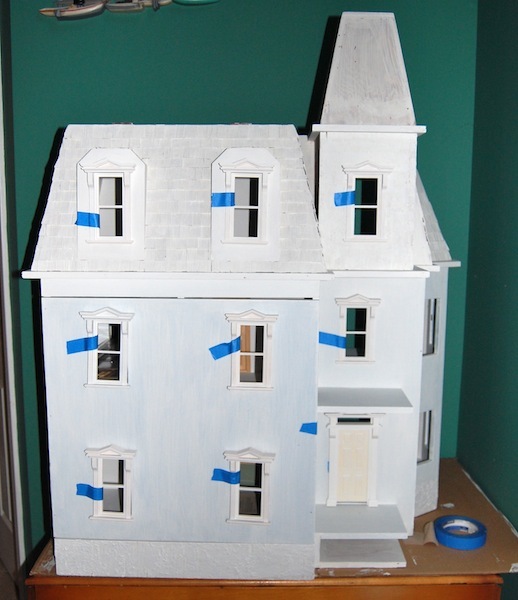 I am going to stucco the exterior and I have added various trim for visual interest. Oh, I am excited that you have gotten started on this house. I am looking forward to seeing your progress and the finished house! Thanks Phyllis. I want to see it finished as well. It looks very promising now after you've made your first steps and additions, I'm curious to see more. Thanks Birgit. A new house is always exciting to start. I just need to finish this one. Thanks Xanadu. 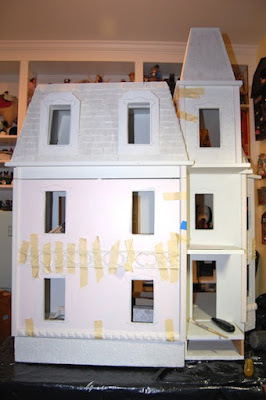 Yes, you do need a lot of room for dollhouses. (I have totally taken over my real-life house with all my hobbies!) I have been enjoying renovating this house so far. It's looking great so far, loving the details!! !